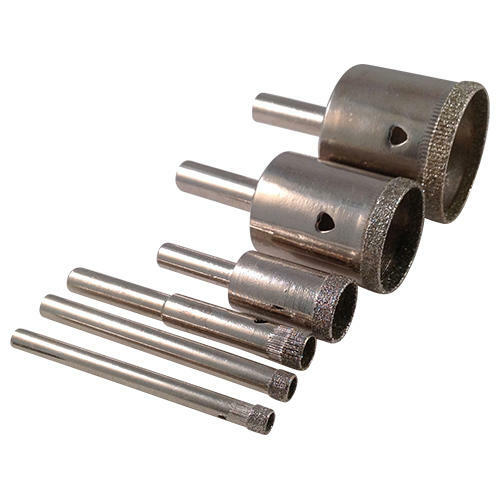 Diamond Drill Bits Set for Your Dremel Tool. 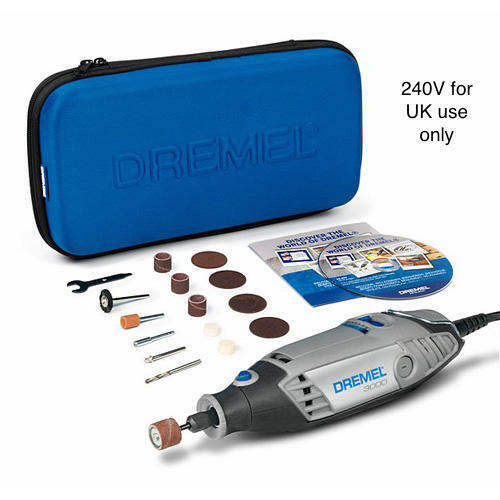 This exciting set is just what you're looking for if you have a Dremel Rotary Tool and wish to start drilling small holes in pebbles, drilling holes in sea glass, shells or pieces of china and ceramic. 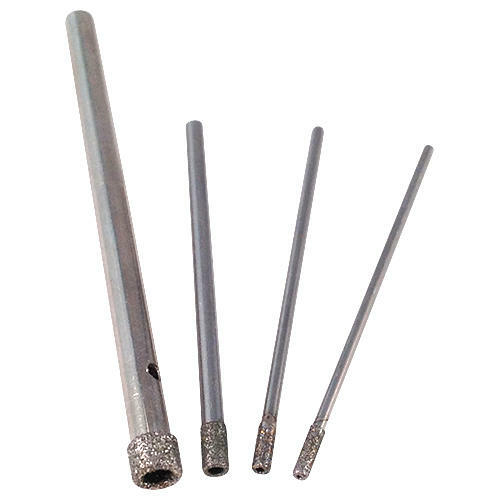 There are two Dremel attachments that can be used to hold these small diamond drill bits, the Dremel Multi Chuck 4486 which you have in your set, and the Dremel Collet Nut Kit4485. 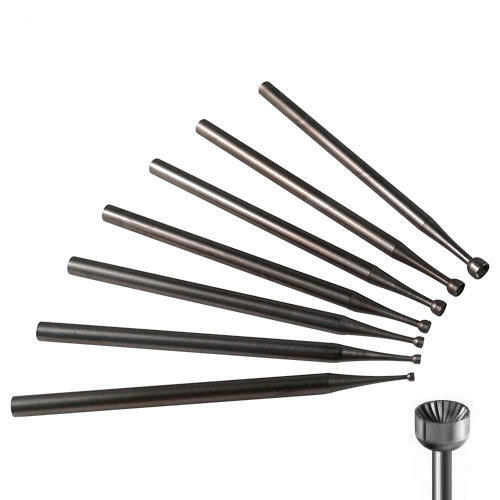 We have chosen the Multi Chuck for you as it is very popular when using drill bits and attachments that have different shanks (the end that goes into your rotary tool, not the drilling bit end) as it is easy to change between drill bits. Simply twist to open the teeth on the chuck and release or tighten in the new drill bit. The Dremel Multi Chuck 4486 will fit all Dremel Drills except Model 4200. Your set has two popular sizes of Small Diamond Drill Bits: 1mm and 1.5mm and two popular sizes of small diamond core drills: 2mm and 3mm. 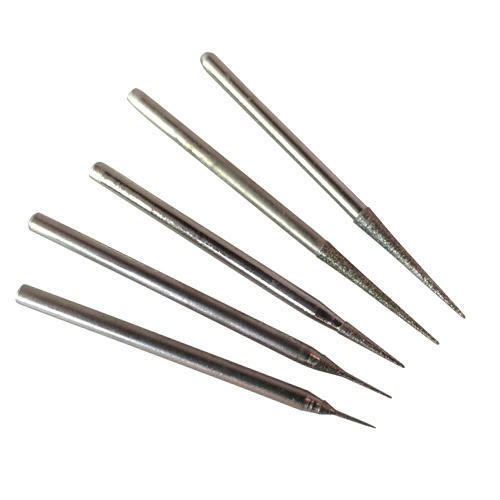 These sizes have been chosen as they are ideal for most jewellery making purposes when you need to make a hole in hard materials. All these drill bits and more can also be bought by clicking here. 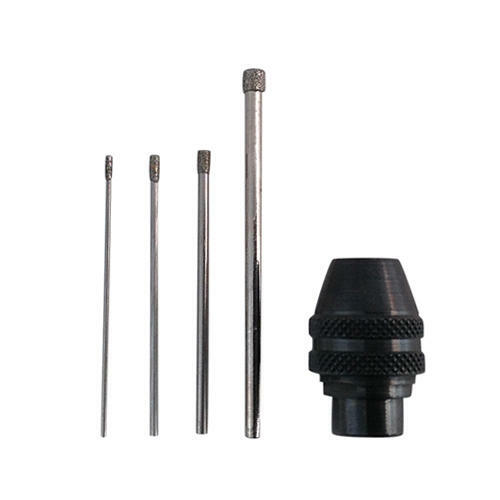 The small diamond drill bits have a solid end and the small diamond core drills have a hollow core running through the drill bit. This core allows water to swirl up and around the core to keep the drill bit cool and they are particularly good for those extra tough pieces of sea glass, fused glass or stones. 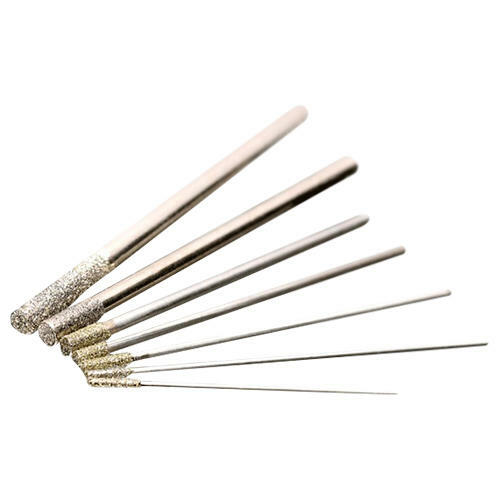 They have a smaller surface area than the small diamond drill bits so may not last as long but are equally good at drilling your holes. The tool I wanted at a fair price and with some helpful background website info on how to use it. All worked well 10mm core drill shafts broke off, may been my fault for wanting to drill too deep. The thing is I have not used them yet because I am shipping them overseas. Wont use them for a year. Thanks Lauren, that's great to hear. The Dremel Multi chuck can be used with their rotary tool models 4000, 400, 3000, 398, 395, 300, 285, 275, 200, 100, 8220, 8200, 800, 780, 770, 7700, 750, 8050. So, yes this will be compatible with your rotary tool. Happy Drilling! Will this diamond drill bit set fit my Dremel 7700 series? Yes this drill bits set will fit your Dremel 7700.
do these diamond drill bits work with the Dremel 3000? Yes, the Dremel Multi Chuck 4486 included with this set works with most Dremel models, inlcuding the Dremel 3000. Please could you advise whether the diamond drill bits will drill holes in quartz beach stones? Thank you. Yes, we have just the tools. Use a Dremel 3000 drill with the Dremel collet nut kit or a Dremel Multi Chuck and some small diamond drill bits. 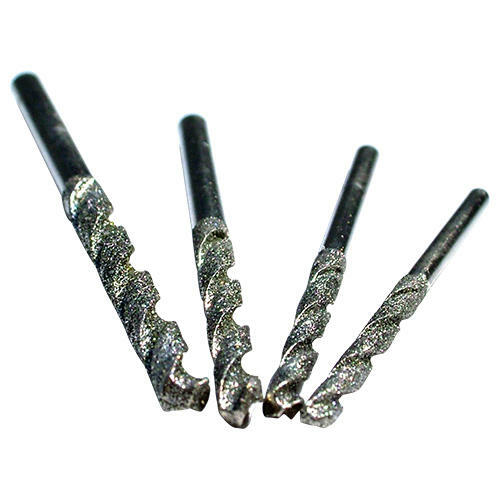 You might like the Diamond Drill Bits set for your Dremel. 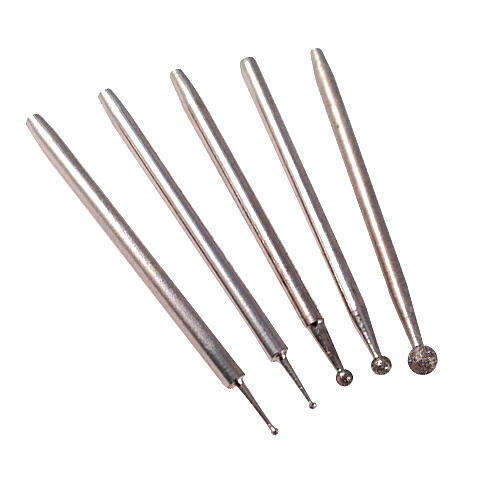 This set contains 2 x small diamond drill bits and 2 x small diamond core drills, in different sizes, all ideal for drilling holes in pebbles. Our article on How to Drill Pebbles might also be helpful for you. If you want to buy the diamond drill bits individually without being part of the set please click here.